Here are six ways to transform leftover meatballs into a new meal. It’s hard to imagine having any leftover meatballs. But if you do, here are six ways to transform them into a new meal. Wrap not-too-saucy meatballs in Boston lettuce and make a quick aioli (either the traditional kind or one made with avocado) for dipping. Saucy meatballs are great warmed and served on a hoagie roll, of course. If the meatballs are seasoned with Asian ingredients like garlic and ginger, serve them with carrot pickles, cilantro and mayo for a Vietnamese banh mi. If they’re more Middle Eastern in style, spread pita with hummus then wrap it around meatballs and cucumber slices. 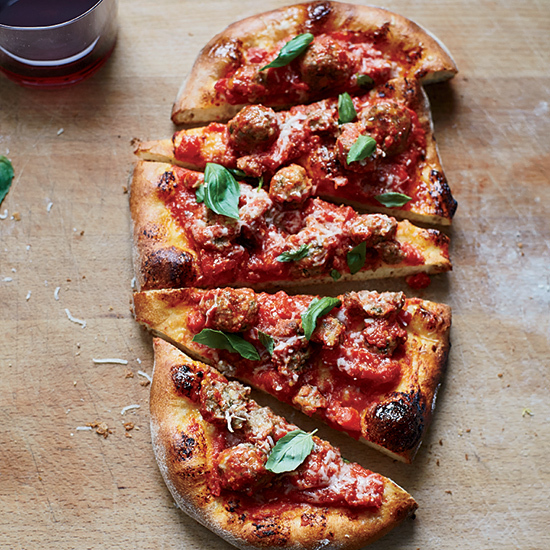 Mash meatballs into tomato sauce, then spread on par-baked pizza dough and bake for 10 minutes. Rewarm sauceless meatballs in any vegetable or meatless noodle soup just before serving. If your meatballs are in an Italian-style tomato-based sauce, spread them in a baking dish, add cooked pasta, if desired, then cover with melty cheese, like Fontina. Bake until the sauce is bubbling and the cheese is browned.